With the help of websites such as Holidaying with Dogs and Bring Fido, many Australian families are choosing to take their beloved pets with them when heading away. Many holidays are best when the whole family can be there and whether you walk on two legs or four, no one likes to be left behind. 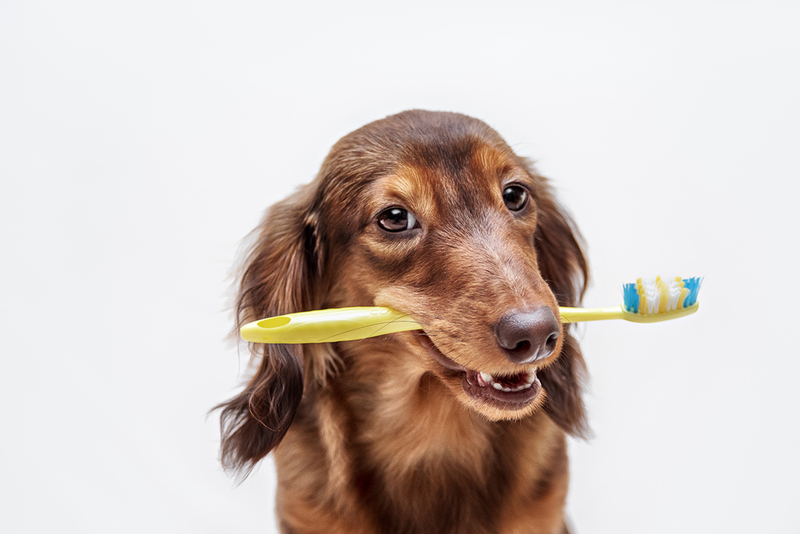 For some, of course, it’s best to leave your furry friend behind – which is why pet sitter services like Perfect Pet Sitter are becoming so popular. But wait. 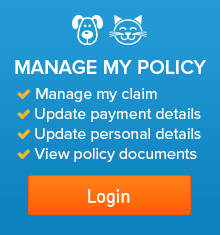 Before you go anywhere, check your pet insurance to ensure you have cover for your pet when away from the home. Most Australian pet insurers will pay for pet expenses incurred while you’re on holiday in Australia, however, you will still need to use the services of a vet licensed to practice in Australia. When it comes to pet-friendly holidays, road trips are ideal – offering the opportunity to enjoy the wide range of pet-friendly accommodation available throughout Australia. Bringing your pet on a road trip with you doesn’t have to be a hassle, but it does require a little pre-planning. If you’ve never travelled with your dog before, you’ll want to start getting them used to being in the car for long chunks of time or your adventure could quickly turn into a nightmare. 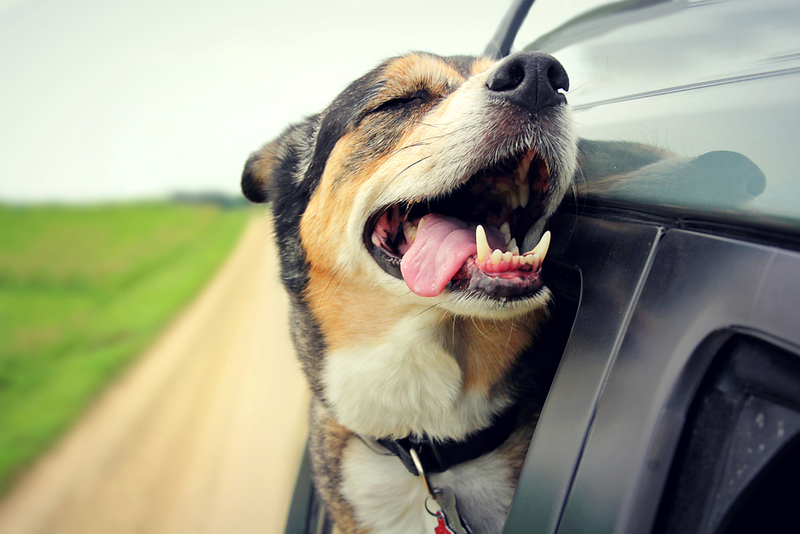 When getting your dog used to the car, it’s essential that you create positive associations that leave your dog relaxed and happy to jump inside your vehicle. Always go for a walk around the block first to burn off some energy and at the very least, offer an opportunity to go to the toilet. Most importantly you want to keep you and your dog safe – so it is vital that you have a pet harness / seat belt to stop them moving around the vehicle. For their first time in the car, get them used to the harness, place a favourite blanket underneath them and sit beside your dog until they seem comfortable. Offer lots of affectionate strokes, praise and nutritious treats. Only when they are comfortable should you turn on the engine. To set up positive associations, make a few short trips to places your dog would be excited to spend time in like the beach or your local park. Your dog takes cues from you, so stay calm and avoid talking in a high-pitched voice and words such as, “Who’s going to the beach – you are, you are”. In fact, it’s best to avoid exciting them with chat altogether, teaching them that a calm trip will result in a fun payoff at the end. 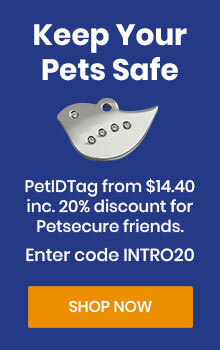 When leaving for your holiday, check that your dog is wearing their collar and tag with your contact details (phone number).. This way, should they bolt, they’ll be easily returned. Do, however, ensure that the collar is tightened well, as loose collars can present a strangling hazard. Another reason for the seat belt is that it will secure your dog should it decide to bolt as soon as you open the door. A crate is also a great idea as it is a way to keep them safe when you are out and about, but be sure not to treat it like a prison. Use a positive voice when encouraging your dog inside and when possible, allow them to enter it in his own time. For a stress-free trip (especially if you do have an excitable pup), take your dog for a tiring 30 minute exercise session to burn off excess energy. You may be in a rush to get out the door, but the time spent playing fetch, running around the park or whatever else you usually do to tire out him out will be worth it. If you are concerned about your dog getting car sick, avoid feeding him anything too heavy before setting off and pack the wet wipes. Shade windows, let plenty of fresh air in and stop for regular water breaks. Also look for signs of nausea, such as drooling, whining and heaving. Never leave your dog in a parked car. Even with the window cracked open, a car can quickly turn into your oven and can dehydrate your dog to dangerous levels. On arrival, make your first concern settling your dog and put unpacking aside until you do. 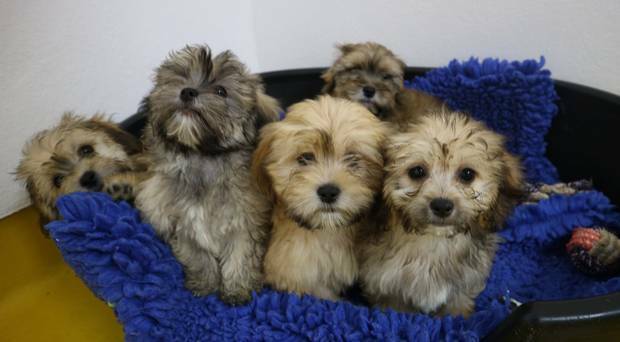 Take them for a walk on the lead to get them used to new smells and sounds, and once they’ve burnt off a little energy and settled, introduce them calmly to their temporary home. As you do, make it clear that they have a place there – in their familiar bed or basket which you hopefully brought along – and feed them something delicious. Now you have a happy, sleepy and settled dog, you can get on with enjoying some much deserved R&R. While a road trip can be fun, for some, a holiday is not a holiday without a quick flight. Flying with dogs in tow is possible, but be prepared for a little extra planning. The first thing you will need to do when considering taking your pooch on a plane is to check with the airline for their rules regarding pet travel. Many airlines require a health certificate and you might be surprised by some of the strict rules enforced. With air travel, your dog will almost certainly be placed in a crate, so this is something he will need to be used to. Start getting your dog used to a crate at least a few weeks before flying and on the day of your flight, place your dog in the crate before you enter the chaos of the airport. Having kept aside your dog’s favourite blanket or stuffed animal, toy or bone, place it inside your dog’s create. For a little extra calm, try rubbing a little lavender oil between your hands and give your best friend an aromatherapy or deep tissue massage at the beginnings of the spine and at the base of the head. As with car travel, you may be worried about travel sickness, so avoid food in the six hours prior to your flight. Keep your dog well hydrated, and offer a toilet break as close to the departure time as possible. If your dog isn’t flying with you in the main cabin, don’t have a big goodbye scene. You’ll only upset your dog, so use a positive tone when saying goodbye and keep it brief. If strangers stop to say hi to your dog, show him it’s okay by being friendly. If your dog growls, it may just be because he’s a little freaked out, so stay calm and ignore the behaviour. Pulling him away or jumping back will make him more nervous of strangers. Don’t attempt to medicate your dog in the hope he will stay calm. Instead, rely on your voice, your attitude and body language. Ensure your dog is settled and happy and aim to burn off some energy before entering your accommodation. Once there, settle him quickly by showing him there is a place for him in his temporary home using a familiar bed, blanket or toy. You will want to reduce stress of travel, and then when you arrive for your dog to settle in fast. To achieve these aims if your journey is over an hour, plan in short ‘wee’ breaks and also offer water frequently. To lessen the likelihood of car sickness don’t feed your dog as it is better for them to travel on an empty stomach. However, do bring their meal with you. 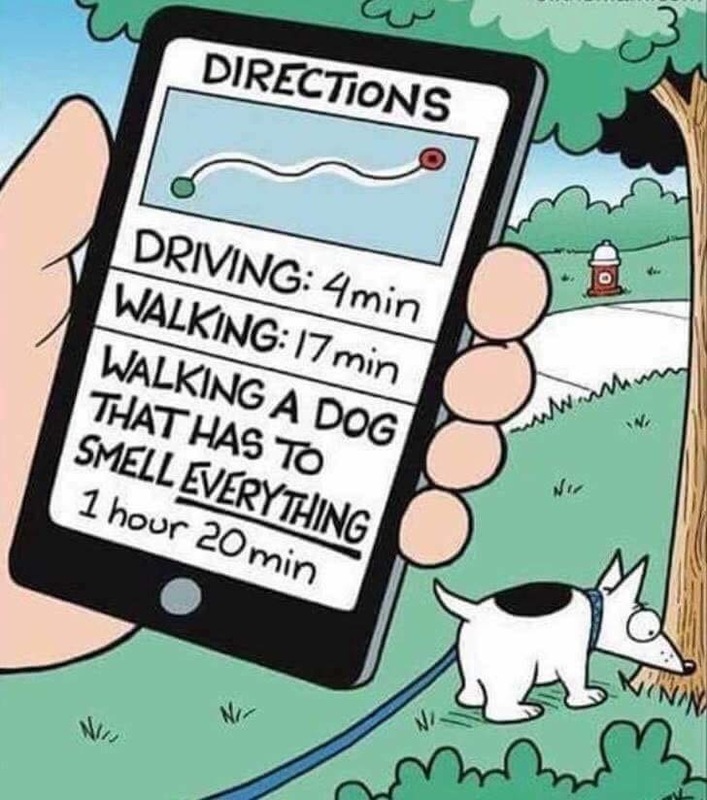 Then when you arrive at your destination (and after you’ve given them further opportunities to relieve themselves when you get there which is easy to overlook) immediately give your dog the meal you held back. Food helps your dog have positive associations at their ‘holiday home’. Take a used jumper or T-shirt with you and leave it with your dog’s bed. This is a comfort in a place of strange new smells. If you can’t take your beloved animal friend with you, there are certain steps to ensure that you leave them in the best of care. 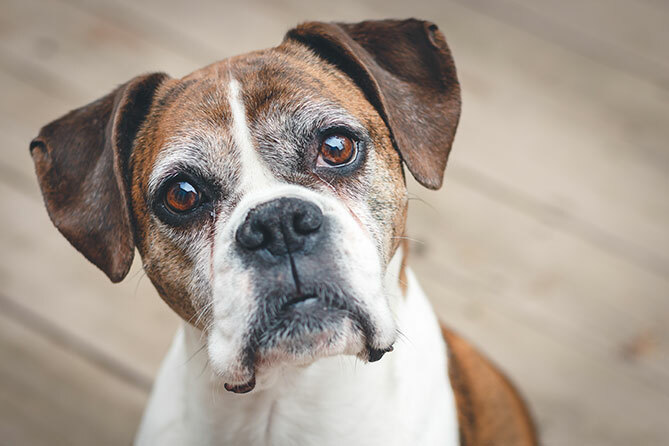 Let’s assume you’ve done your homework before leaving your beloved pooch and have found a recommended pet sitter (check out our pet sitter checklist here). If your journey is over an hour, plan in short ‘wee’ breaks and also offer water frequently. To lessen the likelihood of car sickness don’t feed your dog as it is better for them to travel on an empty stomach. However, do bring their meal with you. 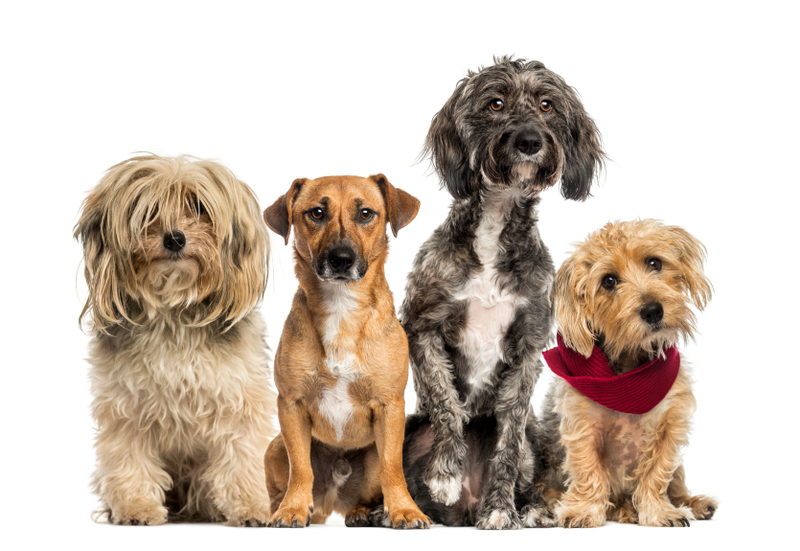 When you arrive at your pet sitter (and after you’ve given them further opportunities to relieve themselves when you get there – easy to overlook) immediately give your dog the meal you held back. Food helps your dog have positive associations at their ‘holiday home’. Take a used jumper or T-shirt with you and leave it with your dogs bed. This is a comfort in a place of strange new smells. Importantly, when it’s time to go please do not make a drama bigger than Ben Hur! Ideally say a good bye and then whilst your dog is playing or distracted leave quietly with no further calling or waving! 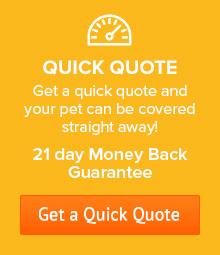 Your dog might look for you for a while but will quickly settle if they are in the hands of a professional. You can also check out our Pet Sitter Checklist list to make sure you’re prepared before you go. And now all there is to do is to enjoy your trip as you know your dog is in great hands until you see them again!